” Rain or shine, si bagyong Maring man tuloy ang kasiyahan!! :)) Thank you so much … for a hassle free vacation trip to boracay! It was a great wonderful unforgettable experienced for the whole family khit bumabagyo tuloy padin :)))..and of course to kuya Jayde, the best tour guide in town kudos to both of you.. again thank you very much sa uulitin po. More power to boracay best deal! Godbless:) I will definitely recommend you! ” Thank you kuya Gil Gomez … We really enjoyed boracay. Till next time. Godbless! Sa july nalang po ulit. 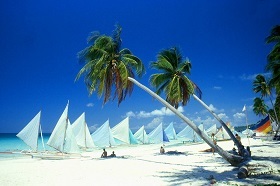 Hi Boracay Best Deals..!! The experience was superb!!! from the flight schedule to the transfer to the hotel ( LA CARMELA). We really enjoyed our stay there! Thanks so much for the nice vacation!! This i s my third time going to Boracay. But the difference is I’d be with my whole family (which is actually very big!). That’s why it was a great thing that I happen to come across thru Google & Facebook Boracay Best Deals which has a wide selection of places/hotels/resorts to stay at a very affordable price. Gil was so accommodating with all my questions and changes with regards to number of people for the transfer from Kalibo to Boracay and vice versa. I was actually embarrassed that we did a lot of changes regarding the bookings of the transfers and houses/huts to stay in. But still he was very accommodating and never failed to provide me a response each time. Southwest which provided us transfers was very professional. They were really on time and the travel was very smooth. The best thing about Boracay Best Deals is that you can really trust them. We left a cellphone in the house and when we informed Gil about that, he willingly agreed to send it thru LBC that same day we left Boracay. Highly recommended! I’ll definitely choose to book again thru Boracay Best Deals the next time we go back to Boracay. “Zuerst möchten Wir “kuya” Gil für die große Hilfe danken. Obwohl die Gruppe nicht wirklich einig waren, welches Hotel/Haus wir nehmen sollen. Hat uns Gil last minute das schönste und passende für die Gruppe besorgt – Cohiba Villas. Der Service von Boracay Best Deals war von Österreich bis zur Rückreise perfekt. Er hat sich sogar um die Organisation unserer Aktivitäten gekümmert. First we would like to thank ‘kuya’ Gil for the great help. Although our group never come to an agreement, which hotel/ house to take. Gil provided us to the last minute the most beautiful and suitable accommodation for the group – Cohiba Villas. Boracay Best Deals gave us the perfect service from Austria til our journey back home. He even organized our activities on Boracay. – Fredrik Wåhlin (Sweden) ================================================================ “We had a fantastic time would be the understatement of the decade. The food, the people, the accommodation and the activities one can take part in made our vacation memorable. Gil made our vacation a spectacular one as he took care of all the arrangements – thanks to him I overcame my fear of boats (To me, Titanic was more of a horror movie lol).” We’ll be back my friend 🙂 -Elvis ( Zimbabwe) and Claudia (Philippines) ================================================================ “We liked our accommodation and we had this boat ( Glass Bottom Boat) all to ourselves. Thanks to Boracay Best Deals for making this special arrangement. Thanks, you’re a great help!” – Rudy Molvizar and family (Hong Kong) ================================================================ “T hanks Gil for assisting us during our stay in Boracay. “We had the best time of our lives! We loved our accommodation because we stayed there for 9 days) and the transfer from the airport was so great, no delays at all, and the staffs were so warm and accommodating. 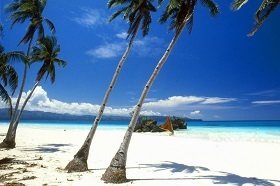 ================================================================ “Boracay is such a healer!!! “We just returned from Boracay and my friends and I are thanking you for the great job you did in putting our trip together. We are very grateful for everything you did for us and everything went very well. We’re safe and sound back home thinking about the joy we experienced. Gil of Boracay Best Deals, thank you! Of course, I will always be indebted for your going beyond the call of duty for our “special request” such as being located near the router. The airport transfer you booked for us were courteous. Our Sincere Thanks and we look forward to do future business with you! “We had a fantastic time at Boracay. We really appreciate your help in making our trip more convenient.